Congratulations to Paul Webel from Vestige. His caption won our caption contest by a landslide! Thank you to all who participated. 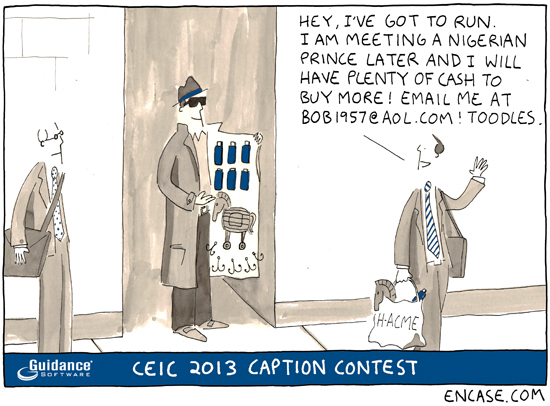 Your captions generated quite a few chuckles around Guidance Software.